The long term stability of HIREC water repellency was directly measured by outdoor exposure test. 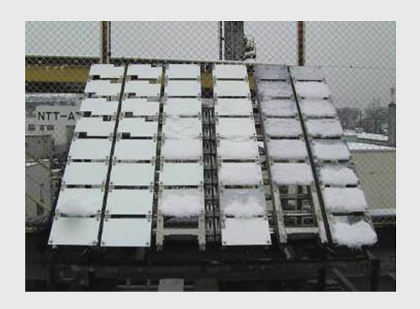 The HIREC coated plates were exposed in the field and the change in contact angle was measured. The contact angle of HIREC after 1100 days outdoor exposure was 143 ° and showed very stable water repellency during 3 years.